The Torah was given by G-d to the Jewish people on Mount Sinai exactly 3328 years ago. Every year on the holiday of Shavuot we renew our acceptance of G-d's gift and G-d "re-gives" the Torah. The giving of the Torah was a far-reaching spiritual event - one that touched the essence of the Jewish soul for all times. Our sages have compared it to a wedding between G-d and the Jewish people. Shavuos also means "oaths," for on this day G-d swore eternal devotion to us, and we in turn pledged everlasting loyalty to Him. 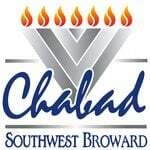 There is no charge for any Shavuot event at Chabad. We ask you to please become a Shavuot Family Partner by donating to help support our amazing programs. Click here to donate now!